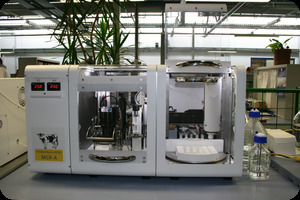 Biosensor MCR A - MPR - Milchprüfring Bayern e.V. 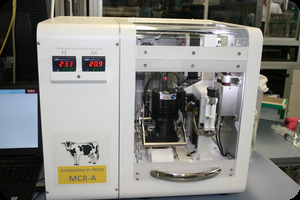 At the Milchpruefring Bayern e. V. we have introduced a new generation of BioSensor: the MCR A (microarray chip reader with autosampling ) – it allows us to determine qualitatively and quantitatively 15 of the most often detected antibiotics in milk, using a competitive ELISA (enzyme-linked immunosorbent assay) on an automated microarray platform. Identification of the type of antibiotic is extremely helpful in localizing the source of the contamination, comissioned either by the producer himself, the mpr as an external service or the responsible authority in view of avoiding future problems with contaminations. 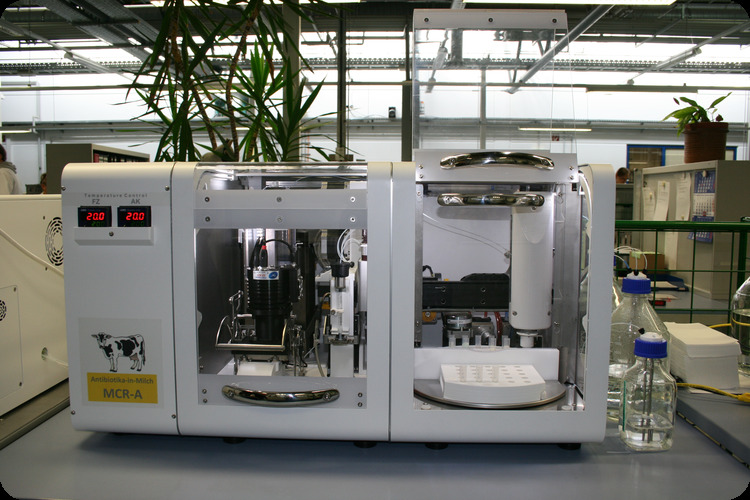 Currently all inhibitor-positive samples of raw milk - tested according to the Milk Quality & Payment Regulations (MGVO), are further analyzed at the laboratory of the mpr with the BioSensor MCR A. 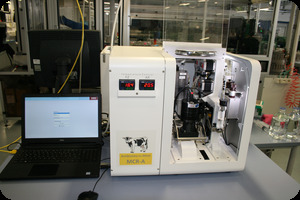 It is also possible for an external group or individual to send milk samples directly to the mpr for determination of antibiotics. For further information please see also the homepage of our affiliate company - AiM GmbH, or contact Dr. med. Birgit Kreis +49 89 / 5307512-0 in case of any questions.